Authored Books – Putting Society up to the light of scripture. Samuel and his wife have enjoyed vacations to the campgrounds throughout the country, the campfires and strolls through the woods, and then back to technology again. A horrifying event tortures Samuel, a very successful Architect who had questioned his superficial faith. He’s presented with a very unusual, unexpected offer, is encouraged to accept the will of God for his new life, so he moves, slowly adapts, recording those new spiritual revelations coming to him from unusual circumstances. One high school student gets his focus, then another and more enter his life. 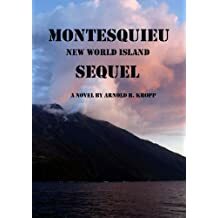 A well to do farmer/inventor gives up everything he has worked so hard for to pursue a simple life with his family and 2 close friends of homesteading on a new island. Living in a tent, they work to build a new community adjusting to the inconveniences of island living to thoroughly enjoy the beautiful sunsets and a peaceful life. Suddenly that peace is disturbed and they must adjust. Thoroughly enjoying the solitude of island life for six months, they are suddenly surprised as an old friend shows up with an additional 300 like minded Americans. Now what? As the additional people put demands upon them to organize and form a community. 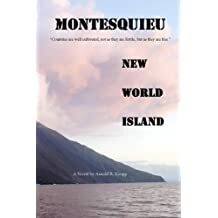 The first and the sequel of Montesquieu, New World Island are shortened, edited and combined into this one volume. A collection of the authors comments on the political-cultural scene of 2005 – 2007.